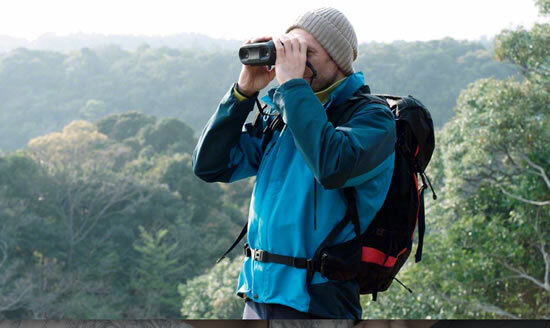 The new DEV-50V digital recording binocular from Sony give a sensational close-up view of birds and animals in the wild, plus sports and travel scenes. While you’ve viewing (Zoom in smoothly from 0.8x magnification wide-angle view to powerful 25x magnification close-ups), it’s easy to capture that colourful bird, timid otter or distant mountain peak with crisp, steady photos and stunning HD video footage at the touch of a button. With the DEV-50V it’s easy to capture the moment for posterity. Press the shutter button and grab crisp, detail-packed 20.4 megapixel still photos (Autofocus tracks your subject crisply and clearly, even when zooming). Or touch the comfortably-placed record button and immediately start shooting vibrant video footage in Full HD or even in 3D. And since there are two completely separate lenses image sensors and image processors, you can shoot in exciting 3D, too: great for watching on your 3D television. A stunning new XGA OLED Tru-Finder electronic viewfinder delivers improved resolution and contrast for noticeably clearer images. Electronic viewfinder brightness on the DEV- 50V is boosted by the newly developed Hyper gain function in low light, helping you see that shy owl more clearly as dusk falls. Hyper gain works by electronically increasing brightness in the viewfinder so the subject can be quickly located and framed in dim lighting conditions. 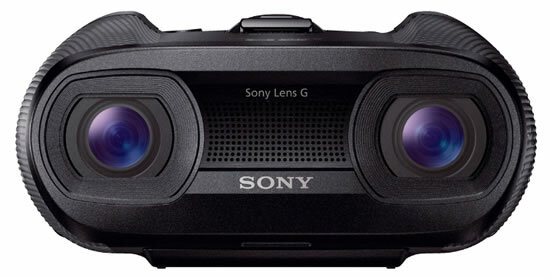 The Sony DEV-50V digital recording binocular is 30% lighter than their predecessors. You can hook up the binoculars to TV and enjoy the day’s recorded highlights in sparkling HD. Alternatively, slip the memory card into your PC or photo frame and relive the memories. Digital recording binoculars contribute to conservation of biodiversity by raising awareness on natural habitat of birds and animal species. The new DEV-50V digital recording binoculars by Sony will be available in Europe from June 2013.